Hey Binweevils fans, so as you can tell from the title there is a new Binweevils Wildlife Wisdom game in the Clarks Adventure. 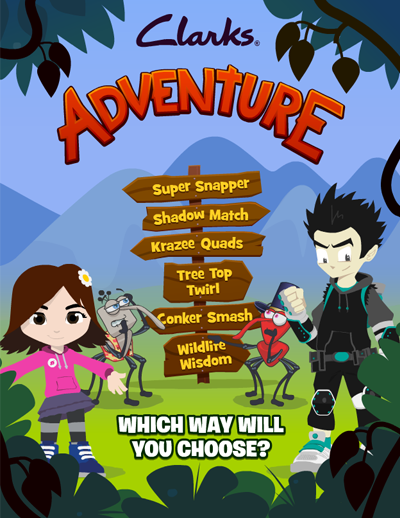 We have not yet played this fun filled game but we do know that it will be based on your knowledge of the latest Clarks Adventure. There will be a series of questions that you will have to answer in order to pass this game. However, if you are smart and have payed attention to the last Clark Adventure then you will have no trouble at all. Below is a video of us playing the new Wildlife Wisdom game on Binweevils. If you want, you can use the video to help you pass the game when you play it. We always encourage our visitors to play the games before using our help to make it more challenging and fun. Good luck with the game everyone. Tagged binweevils wildlife game. Bookmark the permalink.